Oh my my heavens, what a week. This poor baby is what I’ve looked at most of the week. It’s been rough. What started as what we thought was a bug on Monday has morphed into something that has lasted all week and honestly – even after a doctor visit – aren’t entirely convinced it’s “over.” After ruling out several causes for what could be making our baby very (albeit inconsistently) sick, the consensus at the moment is that she has a highly inflamed stomach lining and possibly the beginning of an ulcer. (Poor thing – she definitely takes afyer her momma.) But if this week has taught me anything, it’s that all of that can change, literally overnight. Yet I’ve learned a lot more than just that this week. A lot about mothering; a lot about worry; and ultimately, a lot about myself. That sounds crazy, I guess, but for my heightened hormonal, anxiety-ridden self, even the smallest things can become BIG tests – tests that require a huge learning curve. 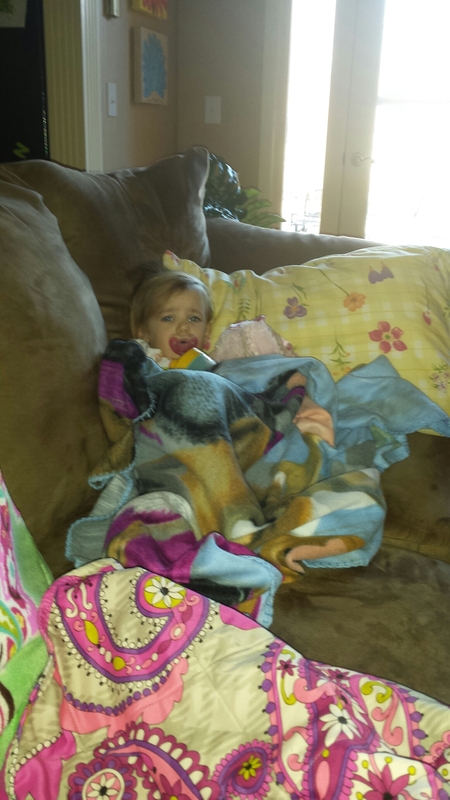 Watching my poor, petite little girl suffer is one of the most heartbreaking things I’ve endured as a mother. 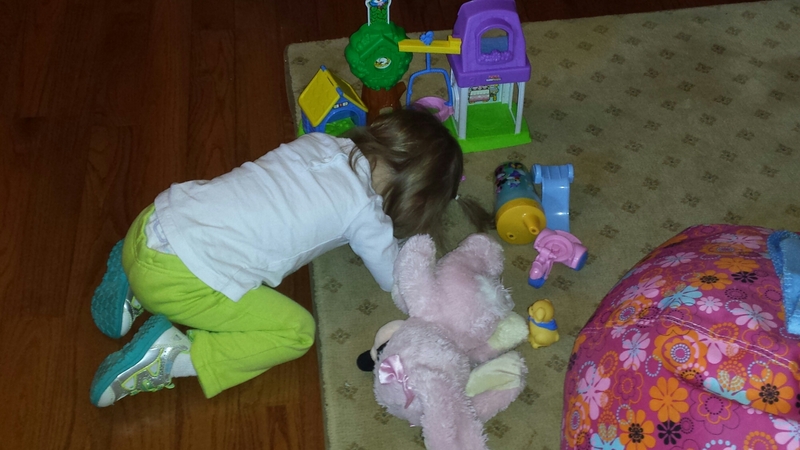 I know I’m not alone in this, but I guess it just becomes so real when your child lays in front of her toys unable to even play with them because she feels so bad. 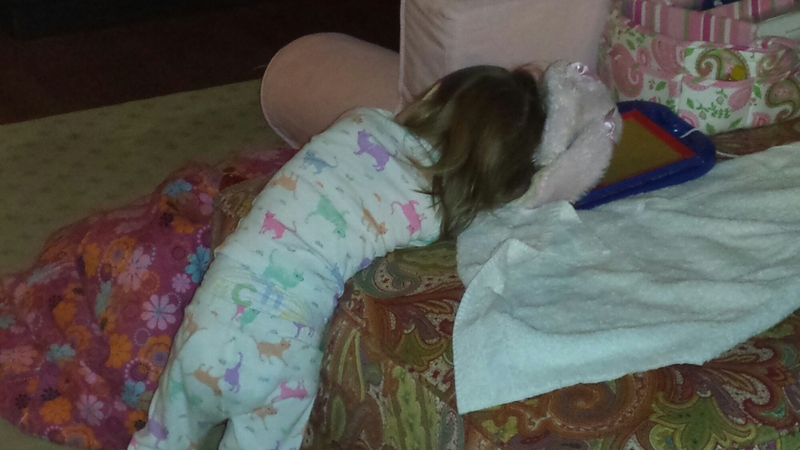 And no, this isn’t the first time Elly’s been sick – I feel this way every time. I just finally have the mental clarity to put it into words I suppose. I also learned that I can endure much more than I imagined (even while 8 months pregnant.) Yes, I may have cried (a lot, maybe), I may have worried excessively, and I may have been hit with an inevitable migraine, but we’re all still here. Making it. And while I don’t like to admit it, I guess we’ll continue to ‘make it’ should this episode continue. But the most shocking thing I realized throughout this week is what I could still manage to be thankful for in spite of the not-so-great parts of having a sick child. My husband is a rock, but is also a caring daddy concerned about his baby girl. My mom is still the prayer warrior and faith monger that she’s always been. Regardless of how hard these days have been, it could be so much worse. We have a WARM comfy home where we can endure all of this together. 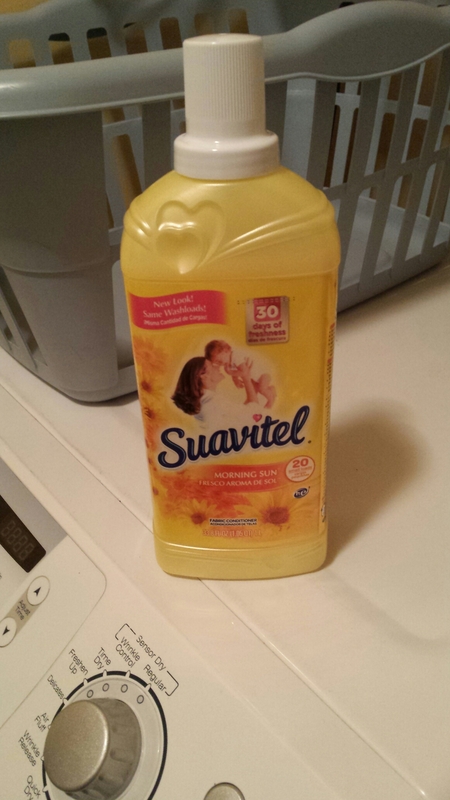 We have fantastic cleaning products that make things fresh again – like this fabric softener (thanks, Dede!!) that makes everything smell so pretty I could literally make my own perfume out of the stuff. We have good medicines and good doctors at our disposal that make the process of dealing with everything a little easier. We have friends and family that pray…I could go on and on, and for that simple fact as well, I’m thankful. I’m hoping and praying for a peaceful weekend, but even if more surprises pop up, I hope I can still find something to be thankful for, regardless of how small.